The square tinplated steel metal tins with clear view tops are an excellent packaging choice. 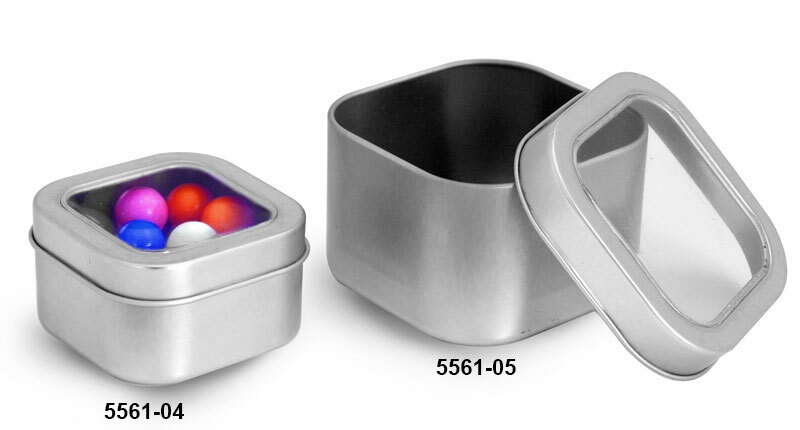 Choose these metal containers for many products such as candies and mints, dry food products, office supplies, and more! The clear view tops allow you to enticingly display the contents of your metal tins.